Online real estate advertising attracts attention not just to the property, but to the Wardley Real Estate brand as well,” added Jed Carlson, CEO of Adwerx. “Our Automated Listing Advertising Program is designed to help active brokerages such as Wardley Real Estate maximize the immediate impact of each property as it is brought to market. DURHAM, N.C., Feb. 26, 2019 /PRNewswire/ — Wardley Real Estate, an independent real estate firm will launch online ad campaigns for each new property listed with the firm. The program is powered by the Adwerx Enterprise Automated Listing Advertising Program. Adwerx has become the real estate industry standard for creating online marketing campaigns that are designed to go live every time a property comes on to the market. These ads are optimized for websites, apps, and social media including Instagram. Each property ad incorporates listing photos, property details, and agent contact information. For Wardley Real Estate, these ads will showcase the wide variety of properties available in the Las Vegas area. Property ads capture the attention of potential buyers by existing alongside the online content they consume every day. By creating an ad campaign that blankets the internet during the first week a listing is live, Wardley Real Estate ensures that each property enjoys visibility that goes far beyond traditional listing sites, providing a comprehensive marketing strategy for their seller clients. In the early 1970s, Lynn Wardley founded his first real estate company. He and Jeff Sommers founded Wardley Real Estate in Las Vegas in 1999 and have grown the company to over 400 agents in four offices serving the entire Las Vegas Valley area. Wardley Real Estate is a member of Leading Real Estate Companies of the World®, giving it a global presence. Adwerx is the leader in automated digital advertising, delivering over 16.3 billion ad impressions for clients around the U.S. and Canada in real estate, mortgage, insurance, and other industries. For more on the program, please visit enterprise.adwerx.com. Wardley Real Estate is a locally owned and operated full-service real estate brokerage located in Las Vegas. Founded in 1999 the brokerage has over 400 Realtors® and specializes in Residential real estate in Clark County. Adwerx provides Brilliantly Simple Digital Advertising for real estate, mortgage, insurance, financial services, and other businesses. Ads powered by Adwerx have received billions of impressions on social media, mobile platforms, and the most widely read news sites. Adwerx has served over 150,000 customers across the U.S., Canada, and Australia and has been named to the Inc. 5000 list of America’s Fastest Growing Private Companies for two years in a row. To see how Adwerx can work for you, please visit www.adwerx.com. Plus, NAR members receive 15% additional impressions on Adwerx campaigns, which can be combined with other eligible discounts. This exclusive benefit is available through the National Association of REALTORS®’ REALTOR Benefits® Program. Flipping homes is become more and more common across the country, and Las Vegas is no different. Chances are you know of someone that is involved in flipping homes, and are curious about the profitability of it. Zillow, the online real estate company, is now getting involved in flipping homes in the Las Vegas market, as well as Phoenix. Zillow, the online real estate company, is getting into the business of buying and selling homes and will expand its Zillow Instant Offers service to Phoenix during April. In a press release, Zillow said that it is partnering with three brokerages: West USA in Phoenix, Berkshire Hathaway HomeServices Arizona & Nevada Properties in Phoenix and Las Vegas, and Coldwell Banker Premier Realty in Las Vegas. Starting in the spring, home sellers in Phoenix and Las Vegas will be able to compare a real estate agents market valuation of their home with offers from Zillow and other investors. If Zillow buys the home, it said it would repair and update it as necessary and then list it as soon as possible. A local agent will represent Zillow in the transaction, enabling the agent to earn a commission. Its also expanding its Zillow Instant Offers into Phoenix, which is its service in which sellers received investor offers alongside an analysis of the homes market value. The offer comes within two business days of providing basic information about the house. Zillow starting testing the service in May of 2017 in Las Vegas and Orlando and is now adding Phoenix to the list. Zillow said the program gives real estate agents the ability to get new listings and that via testing, it found most of the sellers who request an Instant Offer sell their home with the agent that did the analysis. To lead its new and expanding efforts, Zillow also announced it has hired Arik Prawer as chief business development officer  he will be in charge of business operations surrounding Zillows participation in the Instant Offers marketplace. Prior to joining Zillow Group, Prawer was most recently Chief Integration Officer at Invitation Homes, a single-family rental owner and operator in the United States. Prawer spent five years prior to that serving in executive leadership roles at large real estate owners and operators in the United States, Zillow said in the release. Are Industrial Values Getting Too High? When it comes to industrial real estate, how high is too high? People have differing opinions on when the values have gotten too high, but sometimes the numbers are too hard to hide, and you can see for yourself what the gap in the supply and demand has done for the market. Foreign investors remain active, but what about local investors? Nationally, the average cap rate on deals involving industrial assets is 5.4 percent for class-A+ product, down from 5.6 percent in mid-2017. That figure, however, is significantly lower in gateway and popular secondary markets. According to a Cushman & Wakefield s latest survey, the cap rate is just 3.8 percent in Los Angeles, the Inland Empire and Orange County, Calif. and 4.0 percent in Seattle. The gap between new supply and demand narrowed in the first quarter of 2018, with 32 million sq. ft. of new space completed. The new supply has been rapidly absorbed by usersparticularly e-commerce companiesin the race to claim modern distribution space, but still was not enough to satisfy new demand, which totaled 42 million sq. ft.
Sentiment is so strong for industrial, investors are willing to pay the low cap rates, Bitner says, pointing out that institutional and foreign investors remain active in primary markets, but high pricing and low yields have forced most private investors out. Institutional investors are willing to pay high prices for low-yield real estate because they are in for the long term and view these investments from a portfolio standpoint, he notes. In fact, for every $1 invested, theres $5 chasing it, Bitner says. He adds that institutional and foreign investors still gravitate toward eight or nine gateway markets, but he expects to see more liquidity for industrial deals in secondary and tertiary markets in the coming years. The trend already seemed underway in 2017. A report from real estate services firm CBRE noted that in the first quarter warehouse space availability tightened in secondary and tertiary markets. Mark Glagola, senior managing director with real estate services firm Transwestern, cites Las Vegas, Phoenix and Salt Lake City as secondary markets with attractive industrial fundamentals in the West, Pennsylvanias Lehigh Valley I-78 corridor in the East, as well as Denver and Indianapolis. With the current real estate cycle already moving beyond the typical 10 years, investors may wonder when the boom will wind down. Both Bitner and Glagola say the sector still has leg room, at least for another two to three years. /wp-content/uploads/2016/09/Logo2-300x238.png 0 0 lance.admin /wp-content/uploads/2016/09/Logo2-300x238.png lance.admin2018-04-18 19:18:002018-04-18 19:18:29Are Industrial Values Getting Too High? Our economy moves in cycles. With that comes ups and downs in various industries – including the residential and commercial real estate markets. Economists and industry professionals make predictions based on vacancy rates, job growth rates, rates of people moving/relocating, etc., to determine how the market will do in the near future. Currently, the multifamily and office divisions have been doing well. Learn why in the article below. Commercial real estate historically has been a cyclical sector, and eight years into a solid recovery, players are having trouble deciding whether to laugh at their good fortune or cry at the thought that prosperity is about to come to an end. The rent growth column depicts trailing 12-month rent growth as of November 2017, the job growth column lists the Y-O-Y change as of September 2017, and the supply is Y-O-Y change through November 2017. Which side of the debate holds true depends to a large extent on the economy, which is going on 100 months without either a recession or outsize growth. Changes in policy last year were tempered by the struggle to pass legislation, but we might finally get a chance to see new budget and tax policies and regulatory changes implemented in the coming year. Much like the overall economy, commercial real estate performance has been consistently good this entire decade, and we expect no major changes to multifamily or office in 2018. Multifamily rent growth has decelerated, and there are concerns about oversupply, affordability and slowing employment growth in some markets, but the overall picture remains bright. Demand should stay strong due to the growing number of Millennial renters and workers, a favorable employment picture and the quantity of downsizing Baby Boomers. It seems as if Millennials have been a topic for a long time, but they are projected to provide a growing source of demand for apartments through the middle of the next decade. Similarly, although the office market faces many challenges—such as the trend toward smaller and shared working spaces, less physical storage space needed as information is uploaded to the “cloud,” more people working from home and less slack in the labor force—demand is expected to remain healthy in 2018. Deceleration was the theme in the multifamily market in 2017, as rent growth declined from above-trend levels in 2015 and 2016 in line with the long-term average. By the end of 2017, average U.S. rent growth was 2.5 percent, where it is expected to stay. This slowdown is largely caused by the wave of supply in metros that might be worse if not for months-long project delays due to the construction labor shortage. The delays are also enabling occupancy levels to remain elevated longer than they otherwise would have. That gives apartment owners more time to absorb existing space. In metros with heavy construction pipelines, particularly high-growth sections of the Pacific Northwest and Sunbelt, occupancy rates will likely level off or decline less than expected. Metro performance is separating into several categories. Rent growth has flattened in coastal markets such as New York City, San Francisco and Washington, D.C., where rents have become expensive even for professional workers. After a long period of strong gains, rent growth has decelerated in metros in the Pacific Northwest and Western tech corridor—such as Seattle, Denver, Portland and San Jose. Those metros remain in high demand, but technology job growth has slowed and a wave of supply must be absorbed. Sunbelt and popular lifestyle metros such as Dallas, Austin, Atlanta, Phoenix, Las Vegas, Nashville and Orlando continue to boast strong population gains stemming from corporate relocations and relatively affordable housing. However, construction of high-end units will put a damper on rent growth in the near term. Houston was suffering from energy sector job cuts and oversupply, but rent growth has rebounded in the wake of Hurricane Harvey, with tens of thousands of units temporarily taken out of commission and apartments filled with displaced homeowners. U.S. office fundamentals have been strong, with positive absorption helping to produce moderate rent growth in major metros. And while new supply has been kept in check at the national level, a wave of deliveries is on tap in coastal metros where demand has been highest. In Manhattan, for example, nearly 7 million square feet of space is under construction, led by the 2.5 million-square-foot 3 World Trade Center and the 1.4 million-square-foot 55 Hudson Yards. Both buildings are scheduled to come online in 2018. San Francisco has 4.6 million square feet in the works, led by the 1.4 million-square-foot Salesforce Tower, and Washington, D.C., has 3.7 million square feet. Originally appearing in the CPE-MHN Guide to 2018. 2017 was a great year for commercial real estate in Las Vegas. Dozens of big deals closed and several acquisitions and merges were made. We could describe each deal individually, however, the article below shows the 10 biggest deals. Local commercial real estate brokers and realtors should be very proud of the market and how it did in 2017. With 2017 winding down, here are my top 10 real estate deals of the year in Las Vegas. Criteria included price, size, location, the buyers and the property’s history. And given the valley’s anything-goes real estate market, the backstory is rarely dull. 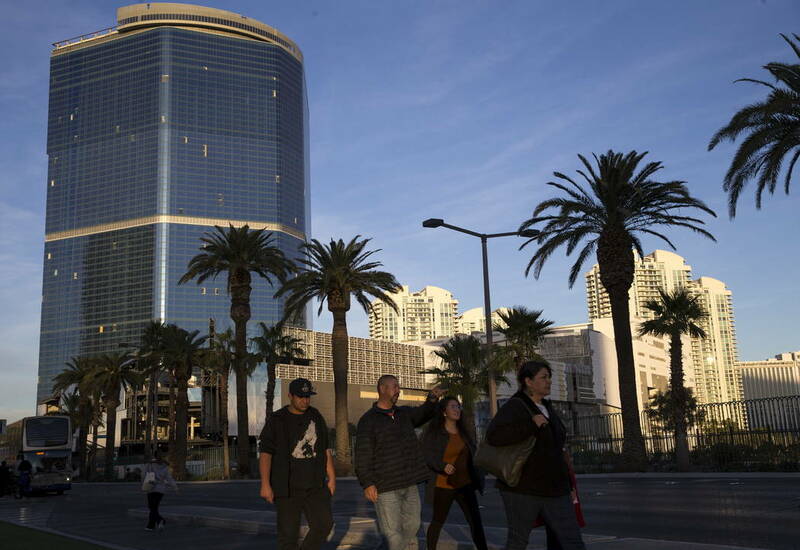 The unfinished Fontainebleau has been towering above the Strip since the recession, a constant reminder of Las Vegas’ real estate boom and bust. Locals have wondered for years about its future. Then, in August, New York developer Steve Witkoff and Miami investment firm New Valley bought the stalled hotel for $600 million. The seller, billionaire Carl Icahn, had acquired it out of bankruptcy in 2010 for around $150 million and left it largely untouched. The buyers have not said what they will do with the blue-tinted property, but they’ve taken steps to resume construction and have a new name for the undertaking: Project Blue. Casino developer Steve Wynn laid another big bet on the Strip in December, reaching a deal to acquire about 38 acres of land next to Fashion Show mall for $336 million. The sale, expected to close in the first quarter, largely comprises the former New Frontier site. In 2007, Israeli investors bought and imploded that hotel with plans for a luxury resort, but the economy crashed and they never built it. Australian billionaire James Packer’s company, Crown Resorts, acquired the site through foreclosure in 2014. His group filed plans for the 1,100-room Alon Las Vegas, but Packer reportedly had trouble raising project funds, and Crown bailed on the project late last year. With the Oakland Raiders moving to Las Vegas, the football team bought 63 acres at Russell Road and Dean Martin Drive for its new stadium, acquiring the land in May for $77.5 million. The Raiders broke ground on their $1.9 billion domed stadium – a project backed by $750 million in public funds – in November. Since the 1970s, other projects pitched for the site include a 1,000-space travel trailer park, two eight-story hotels, a high-speed-train station, a three-stadium sports complex and a 2 million-square-foot fashion expo center. The Blackstone Group, an investment giant that’s been buying Las Vegas real estate for several years, picked up a massive property in 2017: downtown’s World Market Center. The furniture-showroom hall, on Grand Central Parkway at Bonneville Avenue, spans 5.4 million square feet. New York-based Blackstone acquired International Market Centers, which owned and operated the property as well as 6.8 million square feet of showroom space in North Carolina. The purchase, for an undisclosed sum, closed in September. Town Square Las Vegas changed hands in January, a new chapter for a project that overcame litigation and financial woes after the economy tanked. New York investment firm TIAA and Chicago’s Fairbourne Partners acquired the roughly 100-acre retail and office complex at Las Vegas Boulevard and Sunset Road, south of the Strip. The buyers did not announce the purchase price, but records show they obtained a $215.6 million mortgage. Town Square opened in 2007 but was seized through foreclosure in 2011. Las Vegas’ heated apartment market is showing no signs of slamming on the brakes. Case in point: The Blackstone Group bought the 466-unit Elysian West for $106.5 million in July. The southwest valley complex opened last year and was 96 percent occupied at the time of sale. According to the seller, Blackstone paid a record overall price and, at the time, record price-per-unit for a typical “garden-style” apartment complex in Las Vegas. Such properties might span 15 to 20 acres with several buildings. ManhattanWest, a mixed-use project on Russell Road near the 215 Beltway, was one of many abandoned, partially built projects that blighted Las Vegas after the economy crashed. But investors bought it in 2013 at a steep discount, renamed it The Gramercy, finished construction and signed apartment and commercial tenants, imploding its stalled condo tower along the way. In April, they sold its two office and retail buildings for $61.75 million to The Koll Co. and Estein USA. The buildings were said to be 98 percent leased at the time. The billionaire founders of Chinese fast-food chain Panda Express bought four office buildings in Summerlin. Andrew and Peggy Cherng, co-CEOs of Panda Restaurant Group, bought the 210,000-square-foot complex in September for $47.9 million. The deal seemed random – Panda Express? – but came as Las Vegas’ office market, while still wobbly from the recession, keeps recovering. Several miles south of the Strip, near the M Resort, Las Vegas Boulevard is a lonely place with vast stretches of desert. Big parcels are for sale, and buyers are largely ignoring them. One exception: Silicon Valley investor group WTI Inc. bought 46.6 acres at Las Vegas Boulevard at Chartan Avenue in July for $24.5 million. Clark County commissioners in June approved its plans for a 30-acre, 754-unit apartment complex. The group also laid out plans for retail and other commercial uses. Owners of Showcase Mall on the Strip bought a building next door and drew up plans to tear it down for expansion space. The Nakash family, founders of Jordache jeans, and New York investment firm Gindi Capital bought the Smith & Wollensky building in May for $59.5 million. According to county documents, they plan to demolish it and construct a four-story, 145,000-square-foot building, expanding Showcase to about 481,400 square feet. Clark County commissioners approved project plans in September. Smith & Wollensky, a steakhouse chain, had said in late March that it would move out. Commercial real estate brokers take on many challenges and do a lot more than one would think. The real estate world in itself is a tough industry, and professionals can be very busy. The article below from Nevada Business Magazine deeply describes the brokerage world and everything that brokers have to do. You will likely work with a broker at some point in life, so it might come in handy to better understand everything they do. Give this article a read. Larry Singer’s team at Newmark Knight Frank (NKF) has provided services to Ainsworth Game Technology Ltd. for years. First, the commercial real estate brokerage located a Las Vegas site for this gaming machines manufacturer and supplier’s 300,000 square-foot North American headquarters then helped them acquire, through auction, an additional 5-acre parcel from Clark County to square off the property. Having done so, Ainsworth had 5 acres of unneeded land, for which NKF recently helped find a buyer. These transactions and this ongoing relationship exemplify commercial real estate brokerage work. “We are advisors and strategic partners with our clients (large and small) on all aspects of commercial real estate ownership; acquisitions and dispositions, leasing, financing, project management, property management, facilities management, transaction management, to name a few,” said Las Vegas-based Michael Newman, CBRE’s managing director for Nevada and the industrial practice leader for the region. CBRE also has a Reno office. I love being able to support things around the city and community events with my company, Stable Development. Las Vegas has tons of events happening all the time, and recently was the 38th anniversary of the San Gennaro Festival. The article below gives you more details on the event and how much of a success it was. You will not want to miss this event the next time it happens. LAS VEGAS, Oct. 17, 2017 /PRNewswire/ — Celebrating their 38th anniversary in Las Vegas, Nevada, the San Gennaro Festival is the biggest Italian food and music festival held bi-annually in Las Vegas, Nevada in honor of Saint Gennaro, the Saint of Naples, Italy. The festival features a wide variety of ethnic food vendors, arts and crafts, home exhibits, pony rides & petting zoo, face painters, live international acts hourly on the main concert stage, and amusement rides and games fun for the whole family. The festivities are always a major attraction in Vegas and are a favorite among many of the patrons, and this last year was a major success. Though their goal is always to out-do the last, this time it was taken above and beyond expectations. The festival was supported through its expanding following as it’s continually a hit for locals and tourists alike. It shouldn’t come as much of a surprise that parking, traffic, and overall event population have risen as concerns and issues surrounding the event. After having met the goal of attendance exceeding 90k at their second event this year, moving it to larger accommodations was necessary. Avenue off the 215 and S Durango at 6555 S Riley St. Las Vegas, NV 89148 was selected as an alternative to the previous occasion’s venue. Parking and traffic assistance was generously donated by Lance Bradford, and therein the whole team at Stable Development. Valued at $20k+, the donation ended up being as much a necessity as it was a convenience for the consumers in attendance. It is certain that those who took advantage of the closer parking, clean adjoining facilities, and other related assistance right next door to the festival were thankful for risk and worry-free accommodations! About Lance Bradford and Stable Development: Lance Bradford has demonstrated himself to be a well-trusted and respected among real estate professionals local and abroad. As his reputation of success and generosity expands nationally, he is transitioning past experiences, and an entrepreneurial spirit to become a valuable partner in several ventures responsible for ensuring their growth and success. Serving as President of a NASDAQ compliant real-estate company that garnered $500 million in the capital and generated over $1 billion in transactions since its IPO in 1999, Bradford has demonstrated great leadership. Through great leadership, Stable Development has experienced tremendous growth. Conquering eight years of business in Las Vegas, Nevada real estate while enduring one of the worst downturns in its history, Bradford, his team, and their business have become known for its Shared Equity Ownership Model as well as its success. Bradford, through Stable Development, identified a need in their local market and met it with a team that truly understands the City of Lights and beyond. The Raiders are still a few years away from throwing the pigskin in Las Vegas. But one investor group is getting in on the NFL team’s neighborhood early  and it paid a premium. Global Trust Group this week bought a vacant 2.5-acre parcel on Hacienda Avenue, just north of where the Raiders plan to build their stadium. The $7.25 million sale closed Monday, property records show. That amounts to $2.9 million an acre  about six times the average sales price for Southern Nevada land in the second quarter, as tracked by brokerage Colliers International. Listing broker Bill Lenhart told me the buyers were “never specific on their intent” for the site. He said one reason Global Trust beat other bidders was that it did not have an entitlement contingency, or a precondition that it would finalize the sale after it obtained project approvals from Clark County. “Create and defend wealth,” the sign says. Efforts to reach Global Trustfor comment were unsuccessful. The Raiders are expected to start construction of their 65,000-seat domed stadium in January and finish by mid-2020. According to Lenhart, investors were interested in his client’s parcel because of the football team’s pending arrival. “It just shined a light on it,” he said. Investors also have eyed a property adjacent to Global Trust’s: a 1.8-acre spread with a boarded-up, two-story commercial building on Dean Martin Drive that was torched in a fire in May. But a deal with the site’s owner has ended up in court. ABC Land & Development sued the owner, Itai Investments, in late June in Clark County District Court. ABC alleged it reached a deal effective March 30  three days after NFL owners approved the Raiders’ move from Oakland to Las Vegas  apparently to buy the property for $3.2 million. But Itai “has failed and refused without just cause or reason” to comply with the terms of the sale and finalize the transaction, ABC alleged. ABC’s attorney in the case, James Smyth of law firm Kaempfer Crowell, would not comment Thursday. The case docket online does not show an attorney for Itai. Efforts to get comment this week from the ownership were unsuccessful. It’s still too early to say whether the Raiders will spark a real estate bonanza. There are some empty parcels near the stadium site, but the neighborhood is almost entirely built out, mostly with industrial properties. But with one property owner able to fetch nearly $3 million an acre, don’t be surprised if others start salivating  if they aren’t already. There will always be examination of real estate markets across the country, and for industry professionals there is always benefit in knowing how the market looks in your area. The latest in Las Vegas commercial real estate news is positive. Fellow industry professionals speculate that the market is heading in a good direction thanks to dropping vacancy rates and big land purchases. Learn more about where our market is at in the article below. LAS VEGAS  A report released by Xceligent in partnership with the Commercial Alliance Las Vegas (CALV) shows the commercial real estate market in Southern Nevada posting mostly positive results through the first half of 2017. According to the report, the total vacancy rate for the local retail market went from 9.8 percent in the first quarter of 2017 to 9.5 percent during the second quarter. The local retail market recorded 177,756 square feet of positive absorption during the second quarter of 2017, up from 17,202 square feet during the first quarter of this year. Tina Hickman, director of analytics for Xceligent for the Las Vegas market, said more than 200,000 square feet of retail space is under construction in Southern Nevada, with a new Walmart Supercenter in the Southwest part of Las Vegas accounting for most of that. Meanwhile, Ott said the local office market continues to improve after seeing vacancy rates approach record highs during the recession. One reason for that, Ott and Hickman agreed, is Southern Nevada’s overall economic and job growth. The total office vacancy rate continued to decline, dropping from 15.1 percent in the first quarter of 2017 to 14.9 percent in the second quarter. At the same time, the local office market recorded 125,089 square feet of positive absorption during the second quarter, compared to 178,805 square feet during the first quarter of 2017. Hickman said 286,876 square feet of office space is now under construction in Southern Nevada, with most of it being built in the Southwest part of Las Vegas. The story is similar in the Southern Nevada industrial market, where Xceligent is tracking 13 industrial buildings under construction, adding more than 3.3 million square feet of space to the market. Another 2 million square feet of space has been proposed. Hickman said the local industrial market recorded 1.8 million square feet of positive absorption during the second quarter of 2017, more than triple the amount of activity recorded during the first quarter of 2017. Still, the total industrial vacancy rate increased to 6.0 percent during the second quarter, up from 5.6 percent during the first quarter. Graves also commented on rising land costs and the increasing number of multifamily developments being built around Southern Nevada. Xceligent, a growing provider of commercial real estate information locally and nationally, partners with CALV and local commercial real estate professionals through their Quarterly Advisory Boards to produce quarterly reports on trends and conditions in the office, industrial and retail markets in Southern Nevada. The report released this week covers activity through the second quarter of 2017. Ott, whose professional designations include being a Certified Commercial Investment Member (CCIM), is one of dozens of leading local brokers who volunteer to serve on advisory boards that help verify and produce these reports. Xceligent is a leading provider of verified commercial real estate information across the United States. Its professional research team pro-actively collects: a comprehensive inventory of commercial properties, buildings available for lease and sale, tenant information, sales comparables, historical trends on lease rates and building occupancy, market analytics, and demographics. This information assists the real estate professionals, appraisers, owners, investors, and developers that make strategic decisions to lease, sell, and develop commercial properties. Xceligent, backed by dmg information, has launched an aggressive national expansion that will provide researched information in the 100 largest United States markets. For more information on Xceligent, visit xceligent.com.